Last Sunday I received the latest edition to my medal collection and with it, a new personal record. I am giddy with joy! The time was a mere 37 seconds faster than my last record half (Brooklyn Half Marathon 2013) but for me it is a WHOPPING 37 seconds. And it all started off so badly! First of all, as you are all aware, this winter has been quite drastic to say the least. 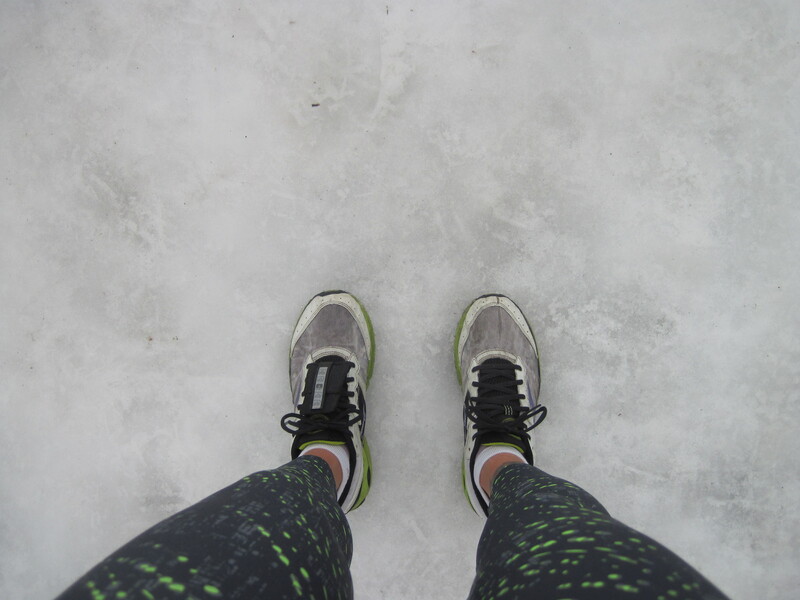 With the weather being so…wintery…it was hard to get out the door and run. It was dark, icy, dangerous and bitter, bitter cold. 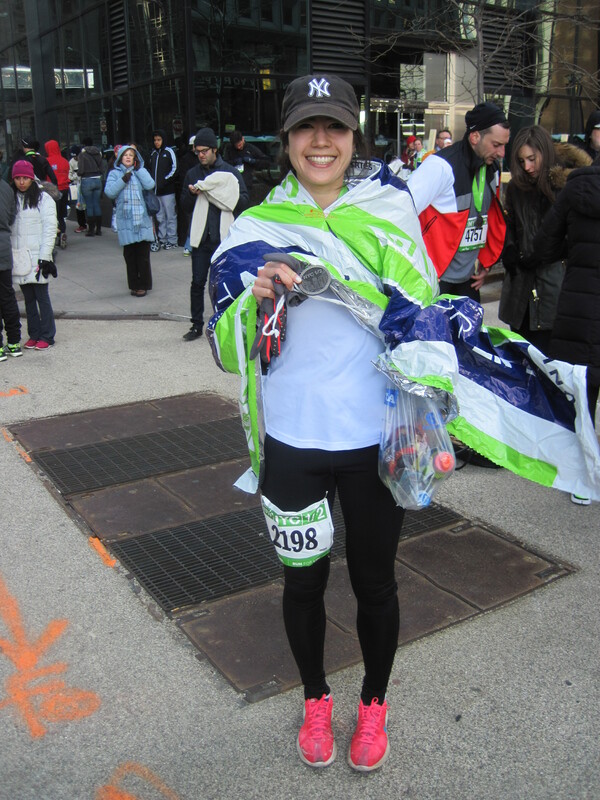 And of course, riding off the high of achieving my first Full Marathon (blog post to come!) last November, I wasn’t super motivated to go out and kill myself in the park in 6 degree Fahrenheit weather over black ice with frozen toes and nose and burning red legs (even with the running tights) so I did a little relaxin’ and allowed myself to skip runs (which was probably a good and safe idea most of the time, but probably not all of the time…)…. Snowy winter: yea or nay? The up side is that Central Park has been absolutely stunning in the past month. The snow froze to ice, then another layer of snow came, froze over, repeat 6 times and you get a winter wonderland right in the middle of New York City. 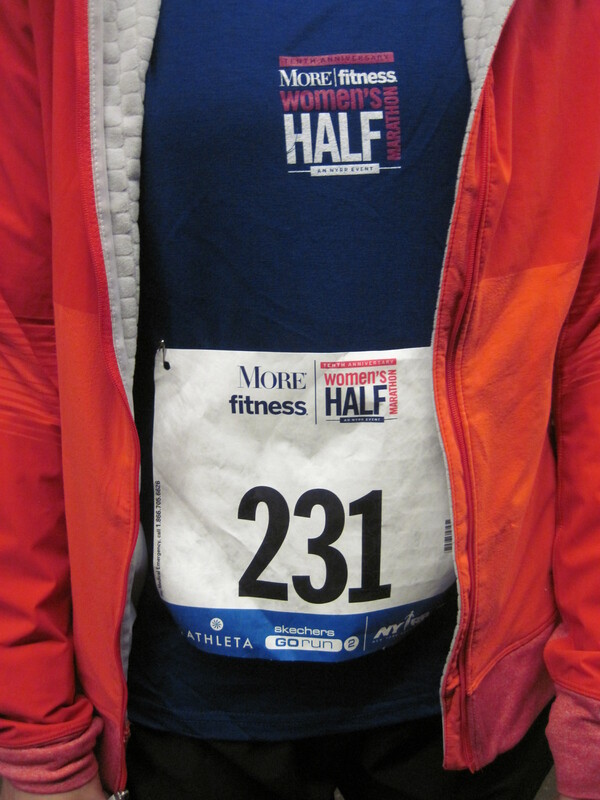 Last Sunday, I ran the More Fitness Women’s Half Marathon. I had signed up because it was on a Sunday which is my long run day anyway, so I thought why not. I would normally do over 13.1 miles but it would be a race so I’d be going at a speed unattainable in training so it would all even out. I got my race bib at the expo on Saturday and my number was 231! The lowest number yet. Good omen? At least I hoped it was a good omen that I would finish cramp-less or within a decent time, since I was only 2 weeks recovered from my full marathon run (see last post) and although I was walking fine, whenever I ran, I’d immediately get tired or stiffen up! I woke up that morning very, very tired from the night before’s taiko practice. I had my mate and ended up with a stomachache. This was not going well! But I saw it wasn’t hot out so I would endure. I paid for it, after all! And my number was so good…maybe I would luck out and feel better. 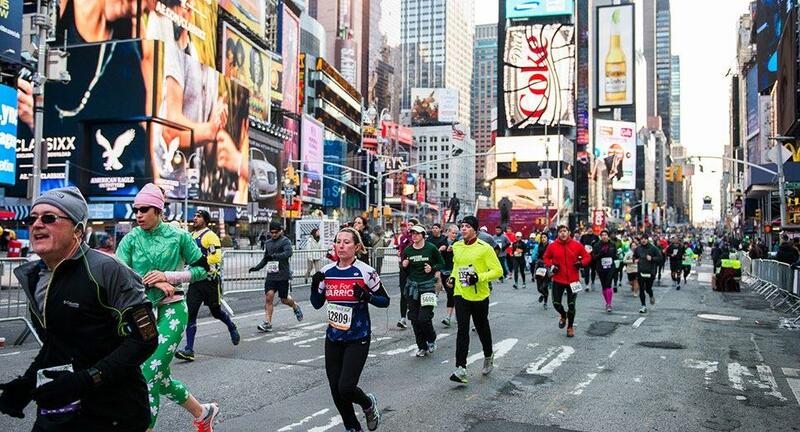 A Race to Remember: Touring Manhattan, the NYC Half Marathon! Central Park, Times Square, West Side Highway, Battery Tunnel, Wall Street! 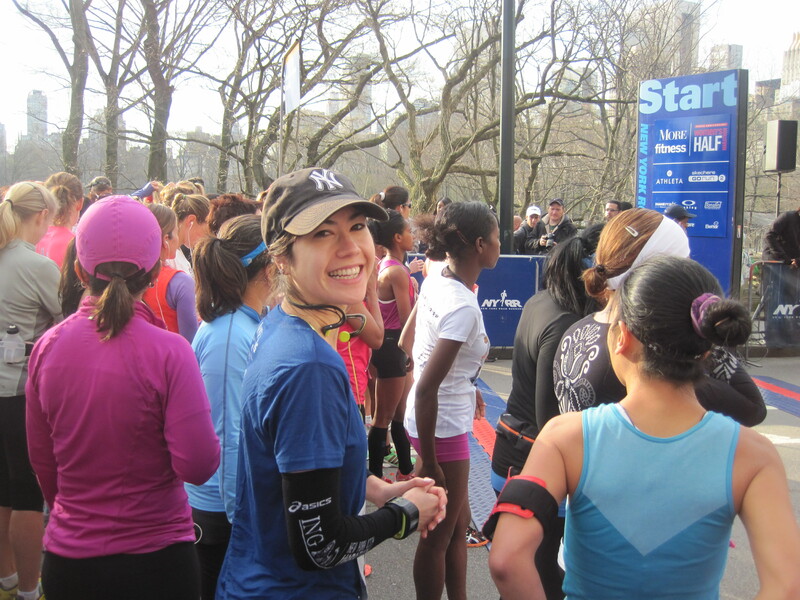 On 17 March, I was one of the lucky lotto-winning runners who was invited to participate in the NYC Half! 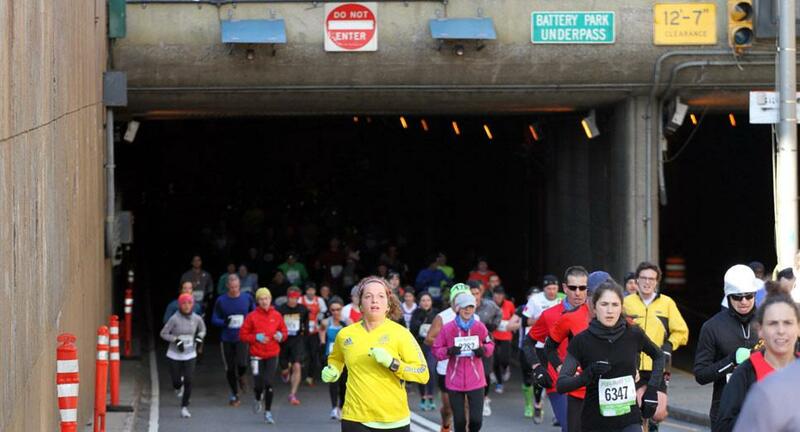 It was an epic race tour through parts of Manhattan that are normally restricted to cars and sidewalks. But this time, I got to run straight down the middle of the streets! Unlike the Manhattan Half, which was twice around the park, I wanted to do well on this one. I wanted to PR. I wanted to beat my record (which, coincidentally, was the Manhattan Half time). And I needed this to happen because I had been doing everything right. I trained. I even signed up for the gym for bad weather wimp out days. I ate homemade tomato sauce with my whole wheat carbs. I drank a ton of water the night before. AND it was going to be flat…after the park loop. No way was I going to settle on the same time as last time! 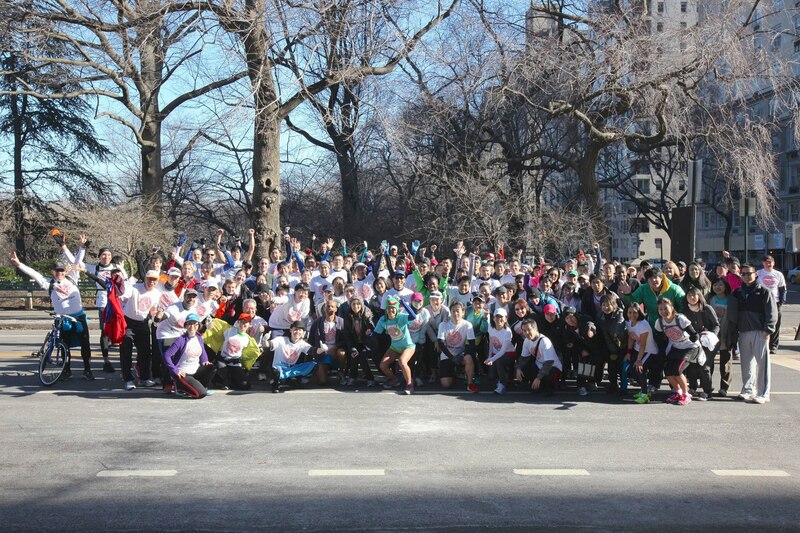 On 10 March, our heroic friend Ayako organized the 9th Run for JAPAN group run around Central Park to raise money for the people affected by the Great East Japan Earthquake. This Run for JAPAN fundraising event which started two years ago kicked off my renewed running ‘career’ as it was the first time I had ever attempted 6 miles straight, the longest run of my life to that date. This time, I followed suit by marking the run as the current Longest Run to date. And that distance was Twenty. 20 Miles. Blaw. Before the meet up time of 10AM, I decided to go out and do a pre-run, so that I would get some miles in beforehand in case my running friend Santiago would not do more than 2 loops with me. Fernando, still nursing his fracture, joined my side on his bike. Proudly sporting our Run for JAPAN shirts, we went down to the park, covered the east side, and then did two of the small 1.7 southern loop so that we’d be near the meeting point. By the time it was 10AM, I had completed over 6 miles, the whopping distance of 2011. 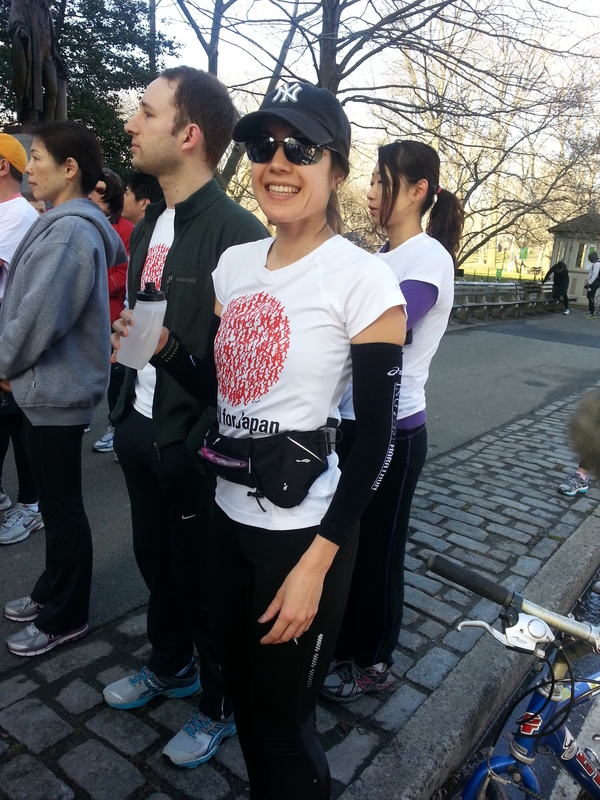 Run for JAPAN #9, Huge Success, thanks to Ayako!